﻿ Firefighting Leads to Fire Protection for Ben Garritson • H&S Protection Systems, Inc.
Firefighting led Ben Garritson to fire protection, and fire protection led him to H&S Protection. One doesn’t always necessarily follow the other, but in Ben’s case working as a firefighter/EMT on the Menomonee Falls, WI Fire Department led him to Waukesha County Technical College (WCTC) to pursue a career in fire protection. I just so happens at the time that H&S needed someone part-time to do fire alarm testing. Ben was ready and interested. “My dad (Steve – Co-Owner of H&S) asked if I was interested in the position in 2012, and I took it, not really planning on it becoming a career path. I did that for about a year and was finished with school,” Ben explained. He then started looking for a career as a firefighter, and Steve knew that, and offered him a position as an install technician. “It sounded like a job I would enjoy, so I took him up on the offer and started working full-time,” Ben said. In Ben’s current position as a service technician, he troubleshoots and repairs customers’ alarm system equipment and explains what the repair was to the customer and answers any questions they have. “The thing I enjoy most about my job is all the variety we have every day. On a normal day I may go to 4 to 6 different locations and get to meet and work with different customers on every different type of system that we sell,” he said. Along with his mom, Barb and Dad, Steve, Ben has an older sister, Stephanie. 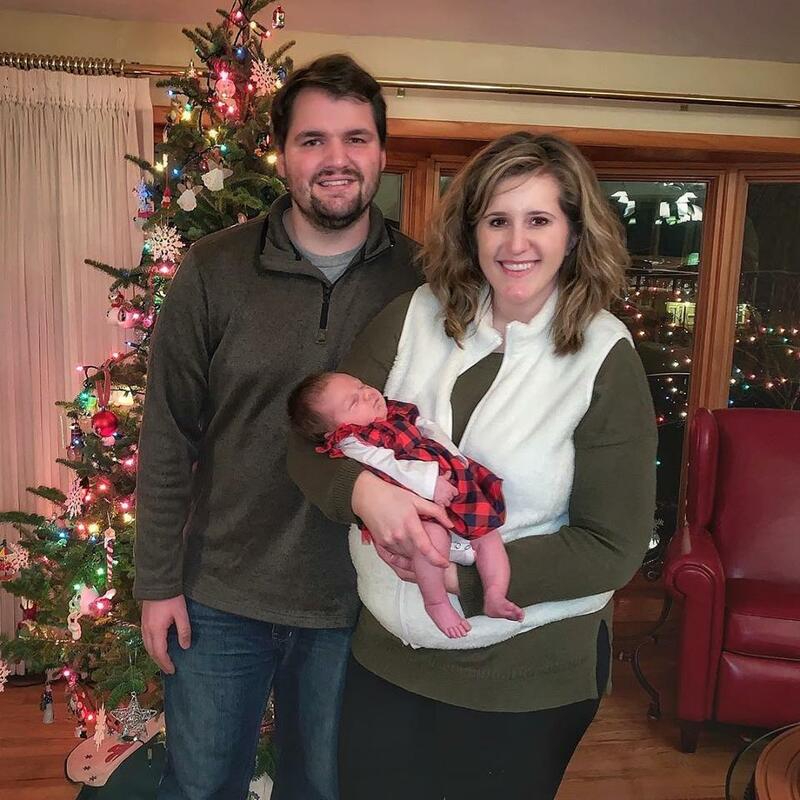 “I got married to my wife Danielle in September of 2016 and last year on November 30, my daughter was born (Natalie),” Ben said. If you need to reach Ben directly, his cell number is 262.364.8630 and his email is bgarritson@hsprotection.net.